Èireannachaibh! 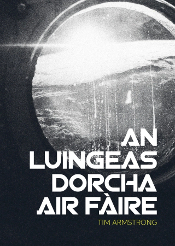 Bidh mi ann am Baile Átha Cliath an ath sheachdain, agus mar phàirt dhen cho-labhairt, The Celtic Sociolinguistics Symposium, bidh mi fhìn agus Alan Titley a’ bruidhinn mu sgrìobhadh agus foillseachadh ficsein anns a’ Ghàidhlig. 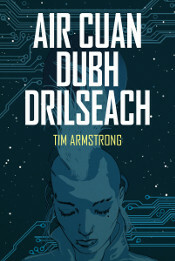 ’S e tachartas gu math mì-fhoirmeil a bhios ann, air a chumail aig sia feasgar anns a’ Hoey Ideas Space anns an Trinity Long Room Hub, aig Coláiste na Tríonóide, Dihaoine, an 14mh latha dhen Dàmhair. Bha cothrom agam tachairt ri Alan Titley roimhe ann an Dùn Èideann greis air ais, agus ’s e duine uabhasach inntinneach a th’ ann: ùghdar agus sgoilear, agus tha mi a’ dèanamh fiughair mhòr ri bruidhinn ris. 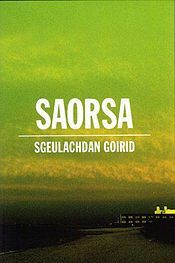 Bidh an tachartas againne fosgailte dhan phoball agus thèid a chumail ann an cothlamadh de Ghàidhlig na h-Èireann, Gàidhlig na h-Alba agus Beurla Seattle. Ma bhios sibh ann am BÁC an ath sheachdain, bhiodh e sgoinneil ur faicinn ann!